The Federation Council on Wednesday passed amendments to the law on treason that could make it possible for law enforcement officials to target people collaborating with international organizations. The changes, which were passed by the State Duma earlier this month, were approved by 138 of 166 senators, despite appeals from the human rights community to put them on hold. To become law, the amendments now have to be signed by President Vladimir Putin. The previous version of the same law referred only to "foreign organizations" and not to international ones. The expansion has alarmed human rights activists who work with groups such as the Organization for Security and Cooperation in Europe, or OSCE, Amnesty International and Human Rights Watch. The amendments are seen as part of a Kremlin crackdown on human rights activists, who President Vladimir Putin has accused of pushing the agenda of Western governments. Ahead of Wednesday's vote, several respected human rights activists, including Moscow Helsinki Group head Lyudmila Alexeyeva and national human rights ombudsman Vladimir Lukin, appealed in a letter to Federation Council Speaker Valentina Matviyenko not to vote for the new treason law. "This highly important law has not gone through the procedure of public hearings in the Public Chamber," the letter said. Rights campaigner Lev Ponomaryov predicted that the new law would be used against government critics. "There will be a new round of spymania. Civil activists, opposition politicians and rights defenders will be prosecuted," Ponomaryov told Interfax. The liberal Yabloko party organized one-man pickets near the Federation Council building protesting the amendments. One poster carried by an activist said, "The law on state treason is the way to a fascist state." But senators who voted for the legislation said they saw no evil in it. "There was always a legal responsibility for passing out state secrets. The new amendments just make the definition clearer," Senator Leonid Tyagachyov said Wednesday. Andrei Klishas, head of the Federation Council legal committee, said Wednesday that a "public wave of indignation at the law" was linked to a misunderstanding of its purpose. He added that the amendments would not "criminalize" assistance by Russian citizens to foreign organizations like the United Nations or the Commonwealth of Independent States. 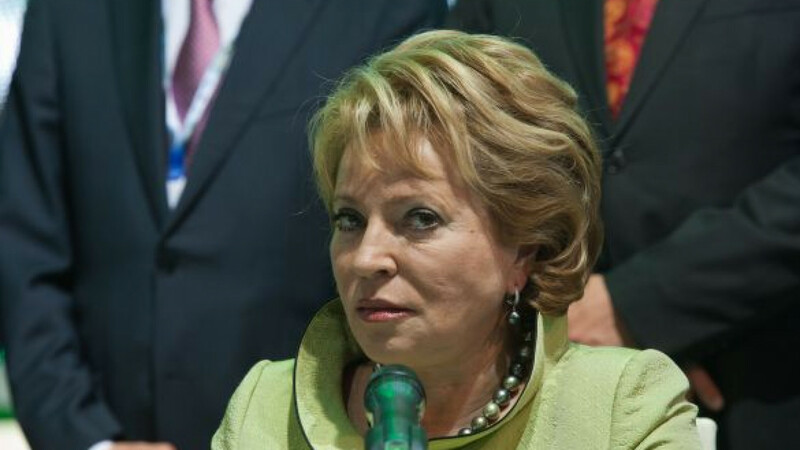 But Klishas' remark regarding the public reaction to the changes prompted Matviyenko to appeal to senators to provide "maximum information" about the law. The amendments were pushed by the Federal Security Service, which unsuccessfully attempted to push through similar changes in 2008 while Dmitry Medvedev was president. Yury Gorbunov, the deputy director of the Federal Security Service, said during Duma hearings on the amendments that the law would target international organizations being used as cover for spy activity. Security expert Andrei Soldatov said the amendments were a way for the security services to justify themselves in Putin's eyes. "They have all this big authority but don't work effectively, which angers Putin," said Soldatov, head of the Agentura.ru think tank. The new legislation also introduces a separate article in the Criminal Code that stipulates punishment for forcibly pressuring someone to reveal a state secret. A violation of that new article is punishable by a fine of up to 500 million rubles ($16 million) or four years in prison. If the pressure involves violence, the assailant can be punished by up to eight years in prison. Federation Council senators said Wednesday that they would ask the Supreme Court to explain how the amended law will be applied in practice. Since 2002, around 25 Russian citizens have been convicted with treason by Russian courts. While the majority of the traitors were military or security service officers who passed secrets to foreign states, researcher Igor Sutyagin and physicist Valentin Danilov were also convicted of the crime, both in 2004. Both Sutyagin and Danilov were collaborating with foreign organizations while doing research related to the Russian military by taking information from open sources. While Sutyagin was freed in 2010 and exchanged for several Russian spies arrested in the United States, Danilov was sentenced to 14 years in prison and has not been released. Danilov's sentence was later reduced by a year. Soldatov said that while the government likely does not intend to use the treason law more broadly, it will turn it into a "warning stick." "Nobody knows when the state will use that stick, so even before the amendments were passed, people started to behave more cautiously," Soldatov said.